Positive changes happen in us when we know, believe, confess and obey God’s Word. When we agree with what God says about us, our minds are renewed, and our choices and habits improve. In this new book from Pastor Dale O'Shields, you will find 25 biblically-based affirmations that will help you think right about God, yourself, others and the world. Church of the Redeemer - RedeemerU Get a sneak-peek into each new show plus daily featured articles, delivered straight to your inbox! RedeemerU is all about understanding and living out God's Word. Go deeper to learn more about His truth, grow in your faith in Christ and become more of what He has called you to be! Dale O’Shields is the founding and Senior Pastor of Church of the Redeemer, a multi-cultural church that operates four campuses in Maryland, just north of the greater Washington, DC area. Dale O’Shields is known for his relevant teaching style focused on practical application in people’s lives. His messages are regularly broadcast on radio and television. He is also the author of several books, devotionals and group study guides. Dale O’Shields is a frequent conference speaker with a passion for leadership development and church growth. He has served as the Senior Pastor of a thriving local church for over 25 years. His heart to equip and encourage pastors and church leaders has led him to be a key founder of United Pastors Network. 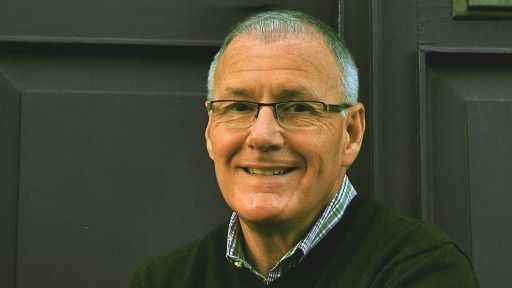 Dale O’Shields has been involved in pastoral ministry since 1978, serving previously as Director of Campus Ministries and as an adjunct instructor at Regent University in Virginia Beach, VA. He and his wife Terry have two married daughters and seven grandchildren.